Yep. We’re a mess. One of our core values says, “We are broken people discovering healing together. 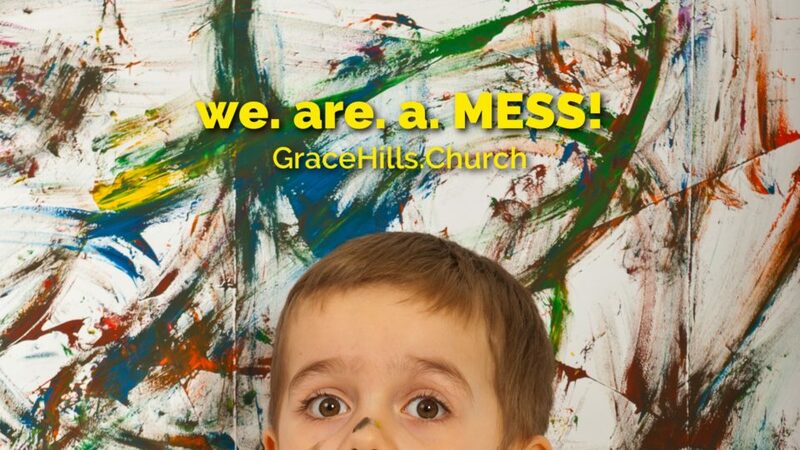 We embrace messy ministry.” Most of the people you meet when you visit Grace Hills will be nice and friendly. But you need to know, before you come, that we’re a bunch of broken messes. There are people attending, and even leading Grace Hills, who have major hurts, habits, and hang-up’s. In fact, perfect people are not allowed. We’re a community of people who don’t have it all together, but are discovering what it means to find life in Jesus, to follow him fully, to break free from our past, and to walk in victory together. That’s who we are. Read more about our core values, our beliefs, and our staff. We meet at 805 SE 22nd St in Bentonville at 9:00 or 10:45 AM. And we’re saving a seat for you! We care about you, not what you’re wearing. We don’t care who you’re voting for in the next election or how many tattoos you have. We’re a church full of imperfect, broken people who are coming to know Jesus and serving others together, and regardless of your story, we believe you belong! A casual atmosphere. We care about YOU, not what you’re wearing, so feel to come in jeans or whatever is comfortable. Our dress code is simple: wear something. Grab a hot cup of free coffee from our Cafe and sit wherever you’d like! We will NOT single you out publicly or ask you to say anything, and we do NOT expect guests to contribute anything financially. A fun, safe environment for kids. Kids love it at Grace Hills! If you bring your kids, you’ll check them in and out each Sunday in our Check-In room using a special labeling system and our security volunteers will monitor the halls during the service. Babies and toddlers are cared for by loving volunteers. There’s a preschool room and Kids’ Church for grades one through five. All of our kids ministry volunteers must pass background checks and have a heart for kids and families. Practical teaching that connects the words of the Bible to everyday life and music that is lively, including drums and guitars. Don’t be surprised when some people raise their hands as a sign of praise while singing, and don’t feel obligated to do so yourself. We create an atmosphere of freedom in our services. We take risks in faith and stay fast, fluid, and flexible in our approach to church. We do whatever it takes, short of sin, to find people who are far from God. We’re crazy about broken people and we’ll get our hands messy to serve others. Everybody belongs – every color, every shape, every personality, and people with every kind of story imaginable. We trust the Bible completely even when we don’t fully understand it. And we value Kingdom growth and invest in multiplying new churches locally, nationally, and globally. And we do everything for the name and fame of Jesus Christ! 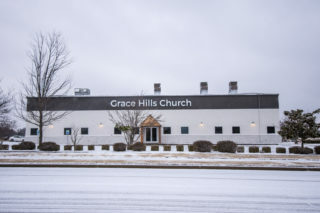 If you have any specific questions, email us at joinus@gracehillschurch.com, and we hope to meet you this Sunday!